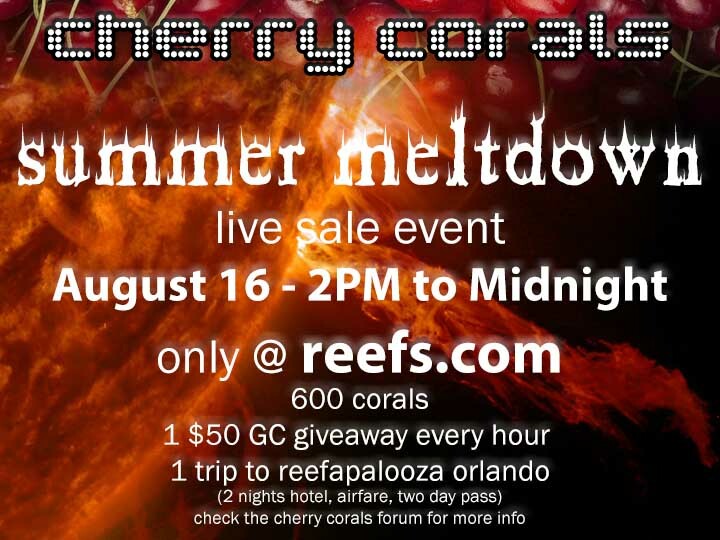 Our friends at Cherry Corals realized they had too many incredible pieces to hold until MACNA so they will be unloading a trove of WYSIWYG frags and colonies this Saturday here at reefs.com. In addition to over 600 corals, Cherry will be giving away gift certificates every hour and a trip to Reefapalooza Orlando. This exciting event will include a live chat room with contests and fun activities. Don’t miss it!